Updated Monday March 19, 2018 by Kent Island Youth Soccer League. 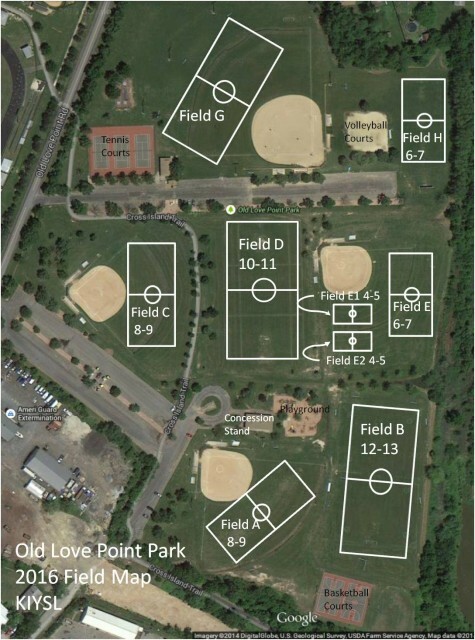 All games are located at Love Point Park. Field Locations are marked on the map! This appears to be the current configuration for the 2018 fall KIYSL season.